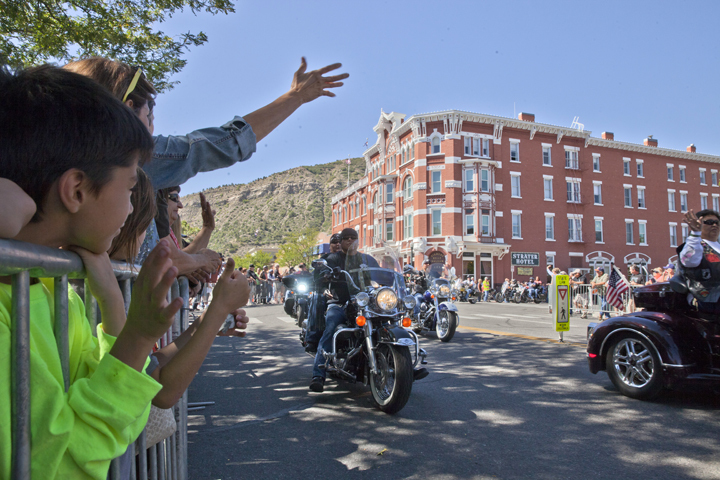 Downtown Durango hosts several events over Labor Day weekend for locals and visitors, all proceeds benefit Building Homes for Heroes. 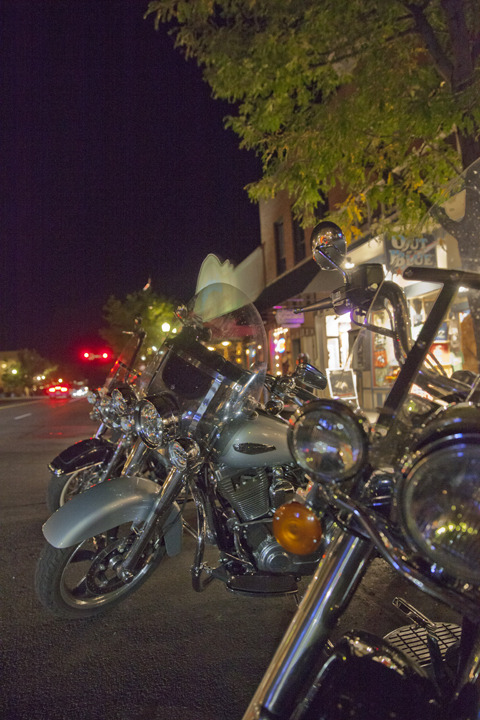 Check out the SHOP LOCAL SALES at multiple businesses Downtown before or during the events on Labor Day Weekend. Like our Facebook Page for more details, and be sure to visit FourCornersMotorcyleRally.com for even more fun Labor Day activities in the area. Friday August 31, 6 to 9:30 pm - Street Party @ 10th Street and Main Ave. Join us for a fun street party hosted by El Rancho Tavern. 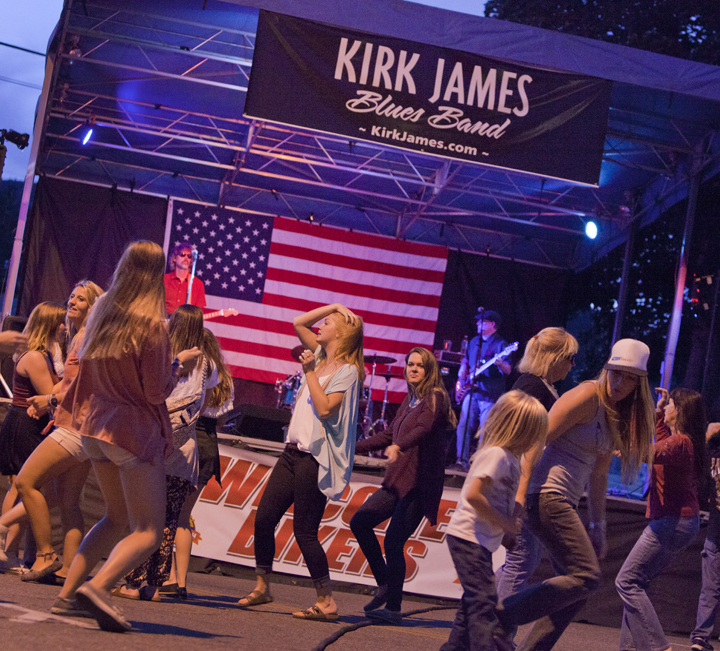 Live music by Kirk James Blues Band, beer, and food available for purchase. Beer and food sales benefit Building Homes for Heroes. Saturday September 1, 6 to 9:30 pm - a second Street Party 10th Street and Main Avenue in Downtown. Beer, live music by The Ben Gibson Band, and food available for purchase. Beer and food sales benefit Building Homes for Heroes. 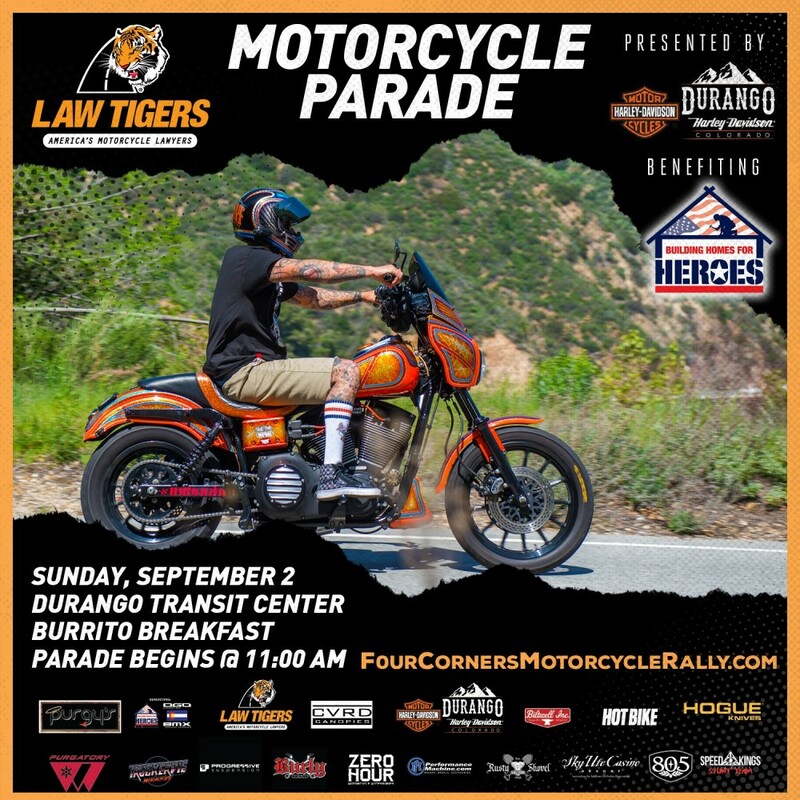 Saturday September 2, 8:30 to 11:30 am - Building Homes for Heroes Burrito Breakfast and Law Tigers Motorcyle Parade. Burrito Breakfast is at the Transit Center from 8:30 to 11 am. All proceeds benefit Building Homes for Heros. Parade staging is also at the Transit Center, from 8:30 to 10:45 am. Motorcyle Parade on Main Ave., sponsored Law Tigers, starts at 11 am. 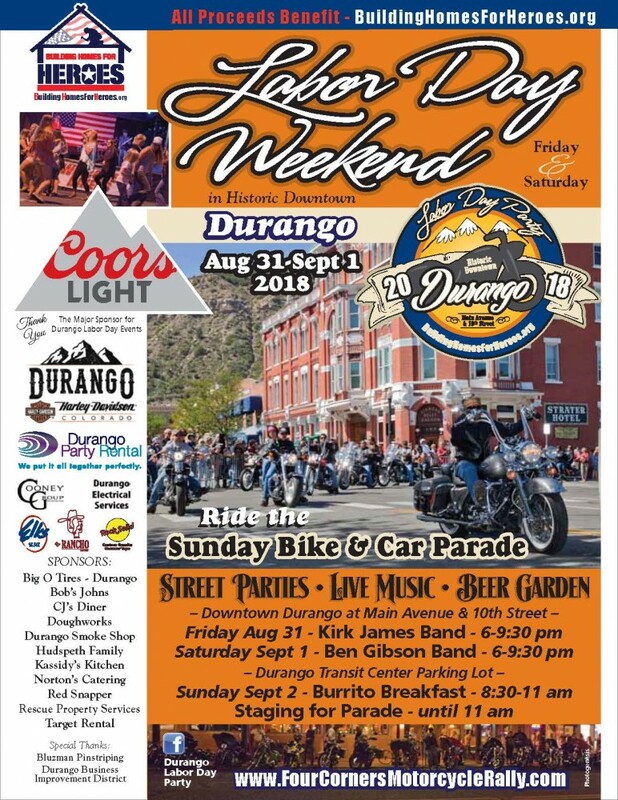 All weekend - make sure to stop by Durango Harley Davidson at 750 S. Camino Del Rio for an entire weekend of fun. 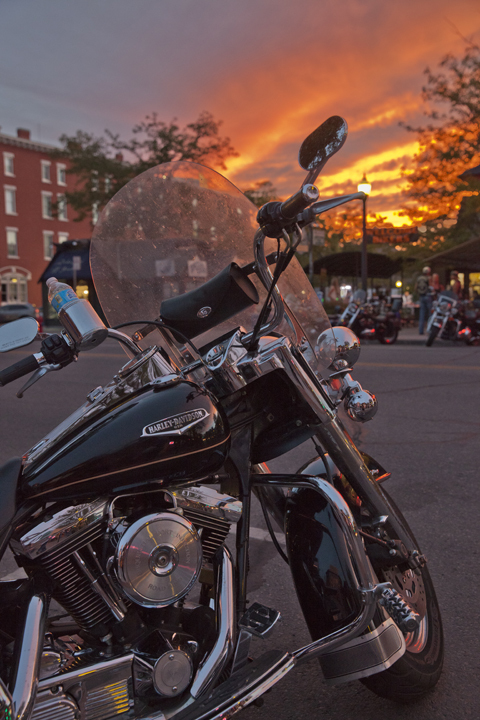 Check out the Harley Davidson Demo fleet, vendors, live music, beer with sales benefiting Building Homes for Heroes, bike washes and more. Visit FourCornersMotorcyleRally.com for details.